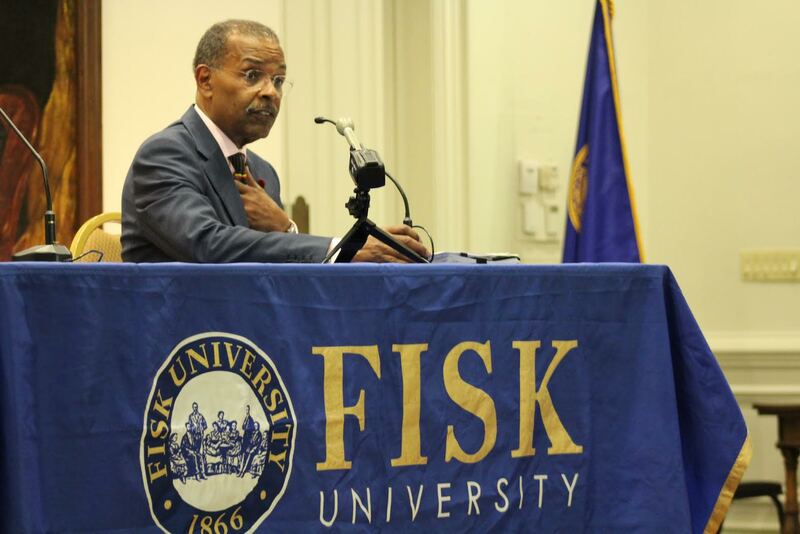 Students and faculty at Fisk University welcomed guest speaker/social activist Joe Madison to their campus last week. Madison, who is also a radio talk show host for the “Urban View” on XM Sirius radio, engaged in conversations with the audience on the importance of community structure and the current presidential elections. The event was part of the Fisk Lecture Series, moderated by journalist Dwight Lewis, former columnist and editorial page editor at The Tennessean newspaper. The award-winning radio host and activist, discussed voter rights, self-advocacy, and community effectiveness to faculty, students, and members of the Nashville community. “Don’t let folks on CNN, MSNBC and all the other programs tell you stories; Think for yourself, go after many sources…learn how to think & ask questions,” says Madison to the well-attended crowd. Madison also encouraged the freshmen class to get involved in their community with the presidential election and get out and vote themselves. He mentioned the importance of voting and the many differences between the presidential candidates Donald Trump and Hillary Clinton. “I challenge you to start a voter’s registration in your community. It is very important that you get out into the community of Jefferson so people can be registered to vote,” Madison stated. Just before leaving Fisk, Madison had this to say to the class of 2020: “There’s two things I want you to do from now on and that’s read with a third eye and listen with a third ear. Do not allow yourself to be culturally condition.” Joe Madison can be heard on XM Sirius radio Monday thru Friday from 6am to 10am on channel 126. 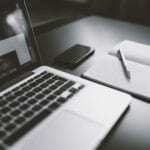 Next articleHolding Court with the ‘King’ – Larry King!